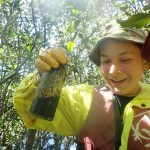 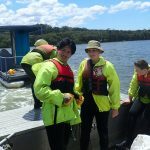 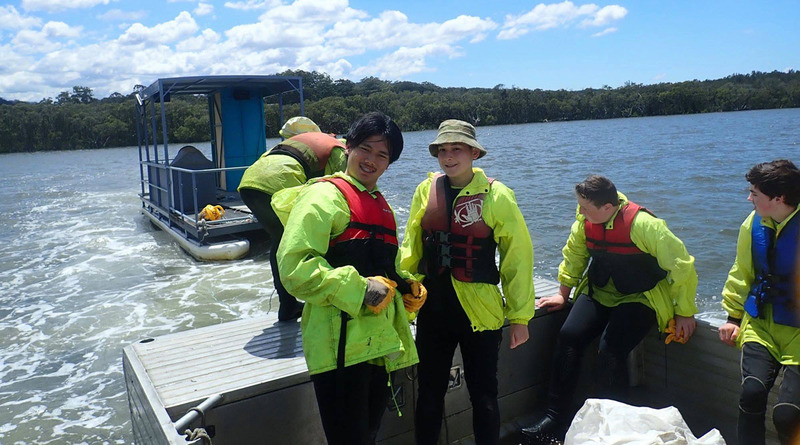 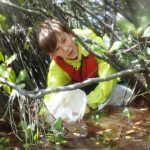 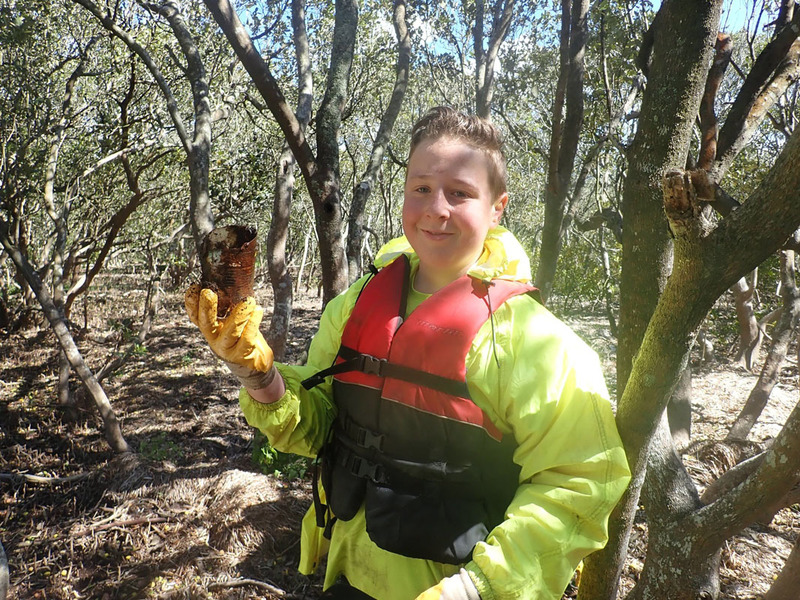 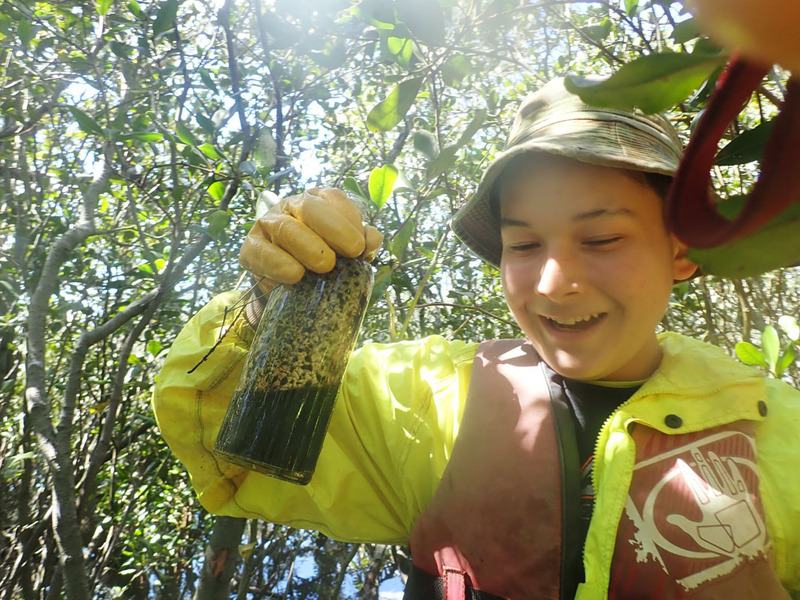 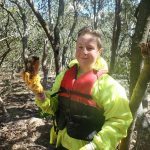 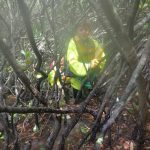 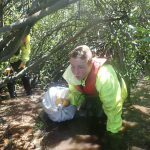 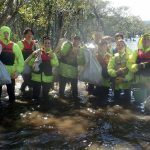 That was the call from St Edward’s College students as they nervously ventured into the thick mangroves in Erina Creek. 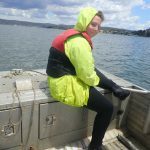 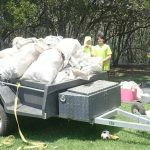 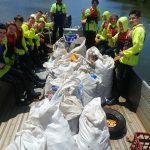 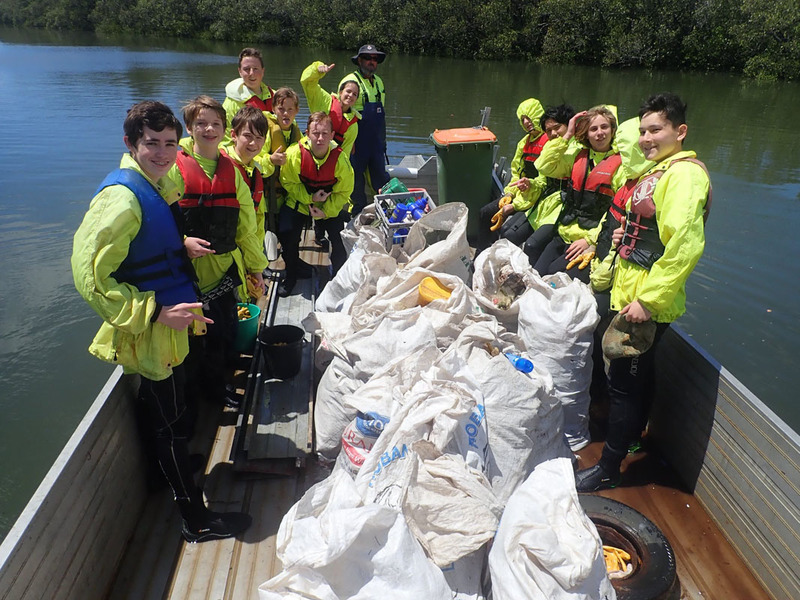 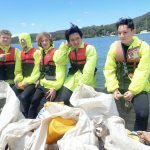 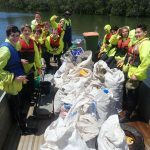 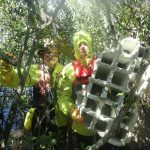 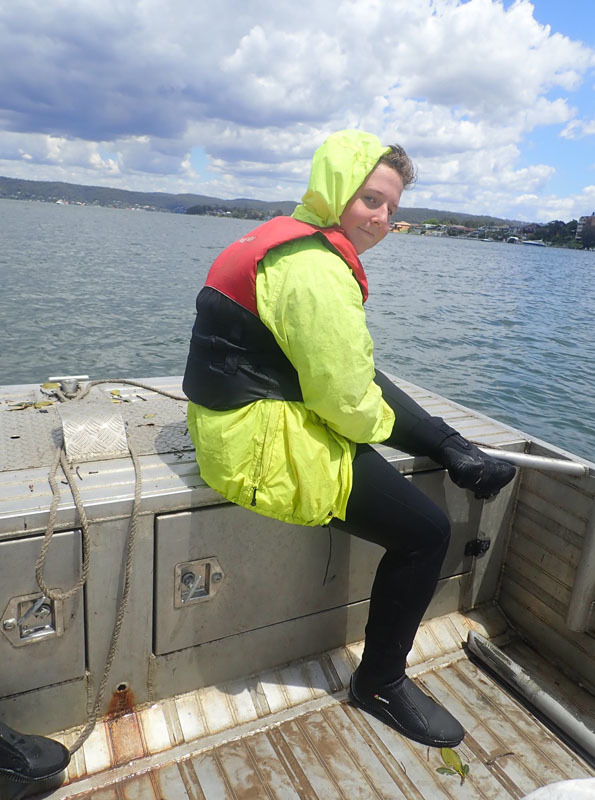 From the barge, the area looked clean in Erina Creek, but a chance look uncovered masses of polystyrene, plastic bottles, plastic pieces and cans, 15 m inside the mangroves. 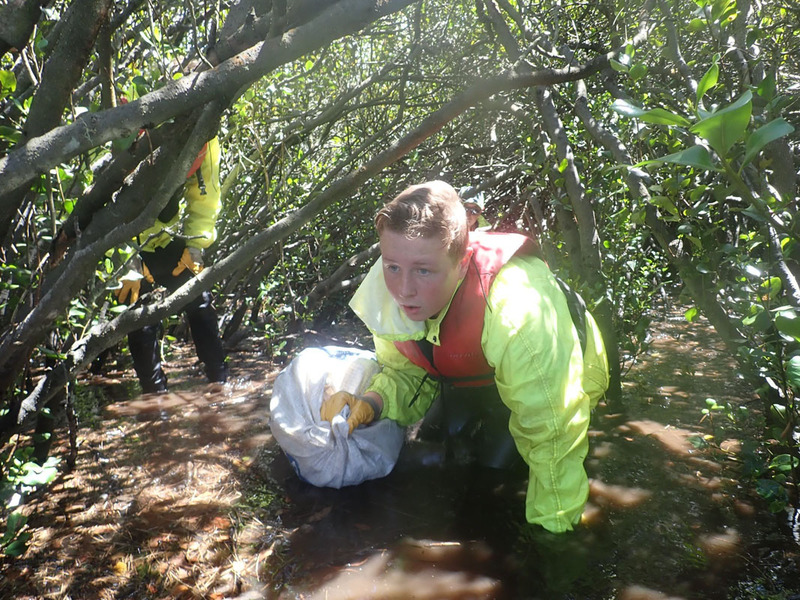 The students ‘crawled’ on hands and knees, to reach the litter, and it just kept coming. 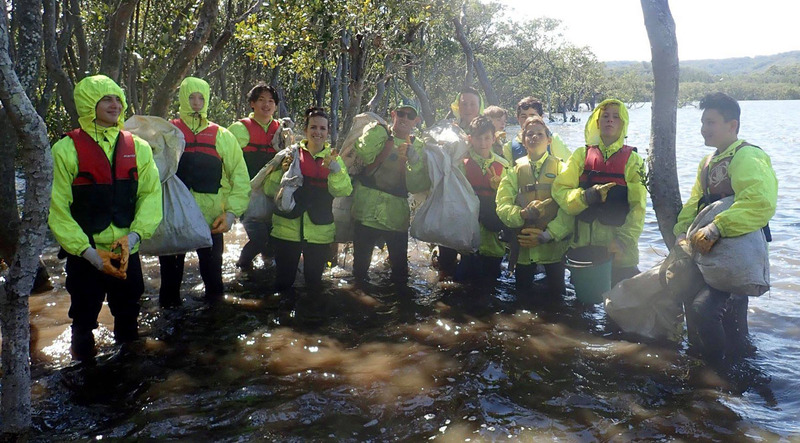 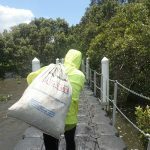 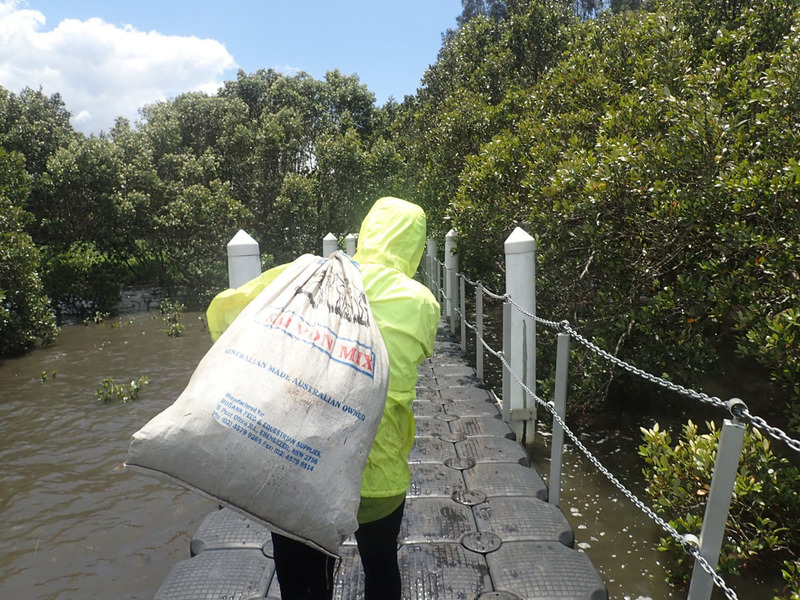 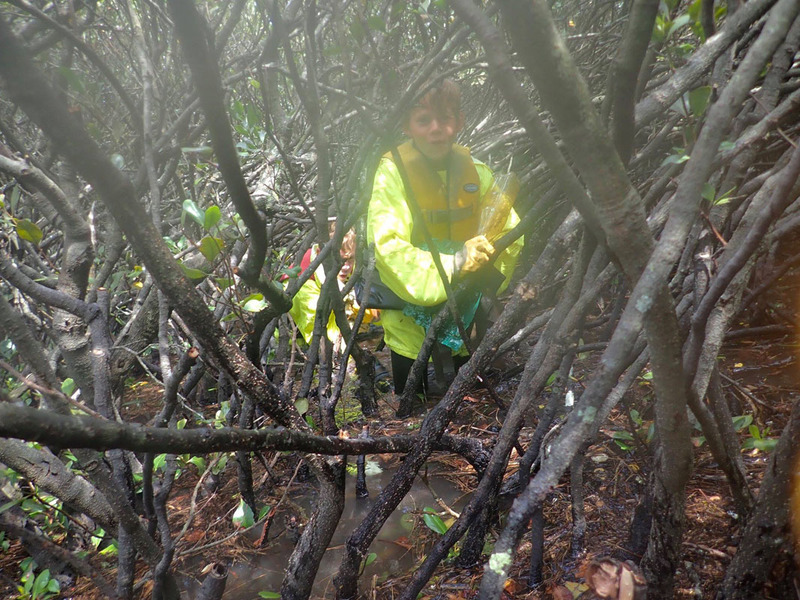 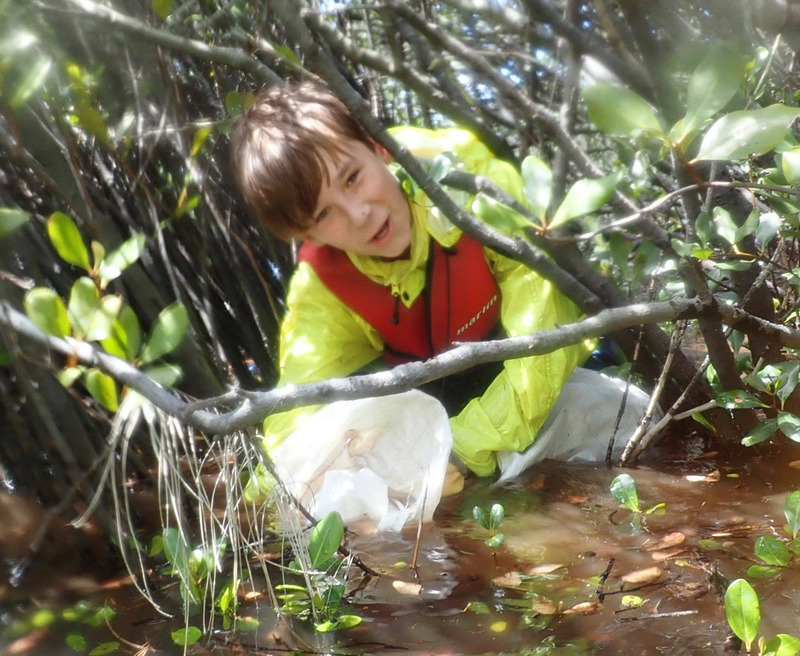 Only 60 m was cleaned in the high tidal water, yet 25 very full bags came out of this small section of mangroves. 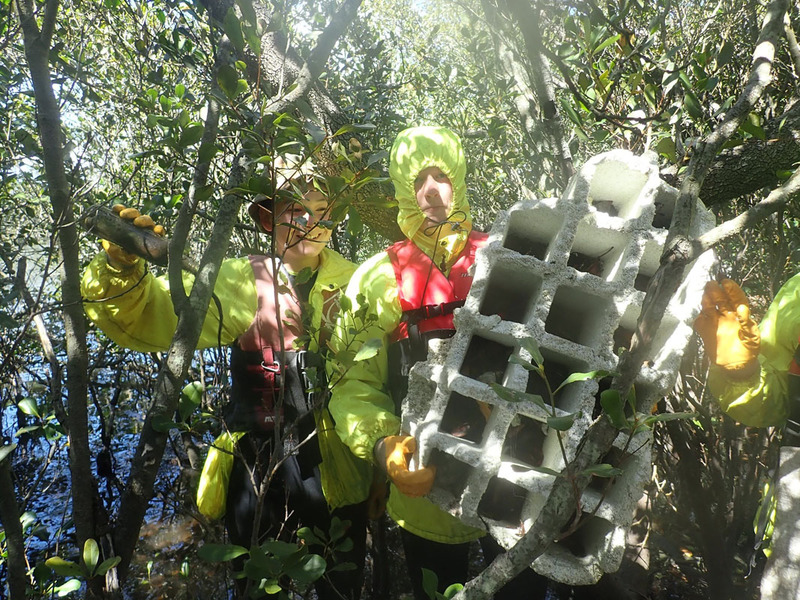 Many heavier items (bottles) remained unseen under the water. 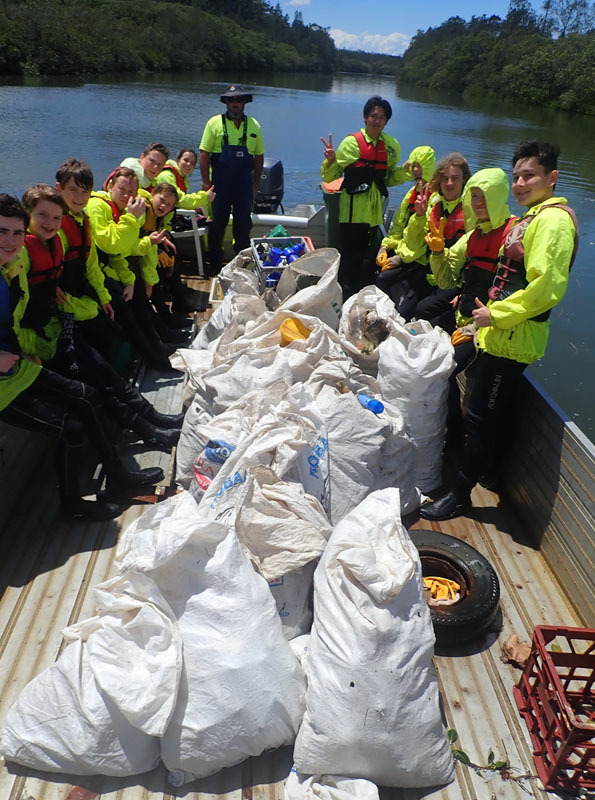 Just further upstream, behind the baseball field, a known dump site again produced plenty of litter, plus a car tyre and galvanised iron. 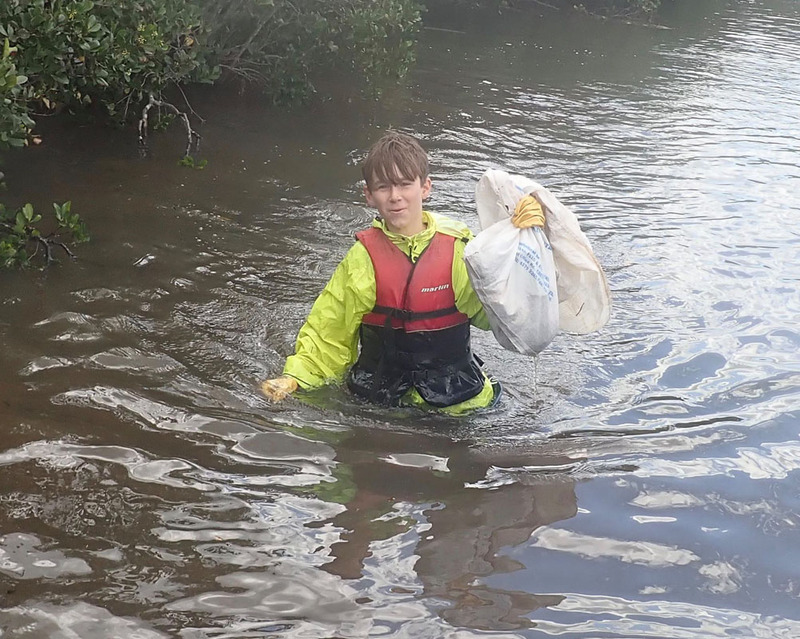 Earlier the boys cleaned the mangroves adjacent to their main oval, only a bag removed here, mostly from the open drains running into Caroline Bay either side of the school. 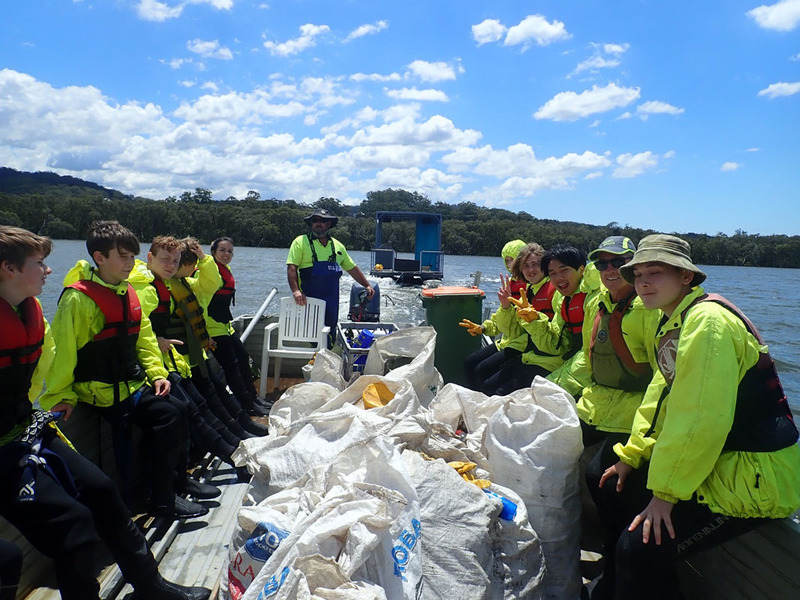 Erina Bay was also checked, a ‘BBQ Boat’ was removed by Simon from the mangroves, Maritime was contacted and met our group on our return trip. 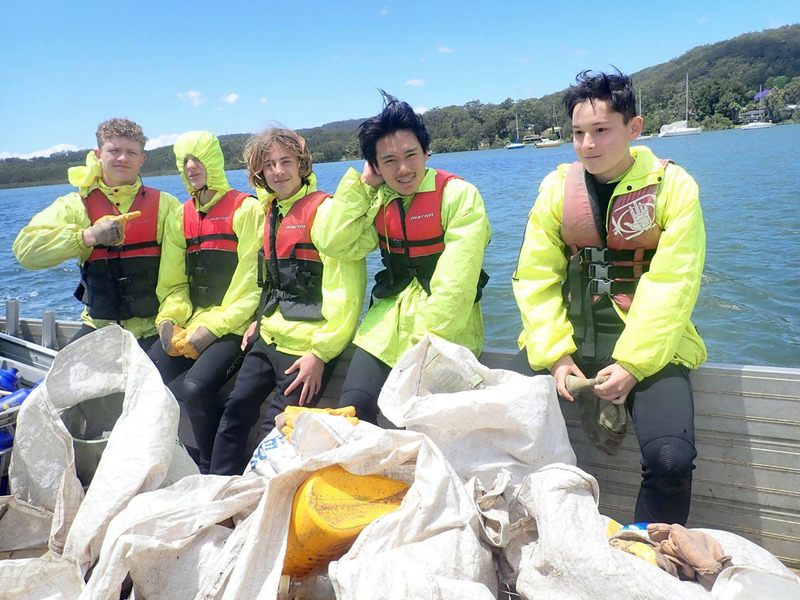 Erina Bay had small amounts of litter, mainly on the tidal marks, plenty of food wrapping and plastic pieces. 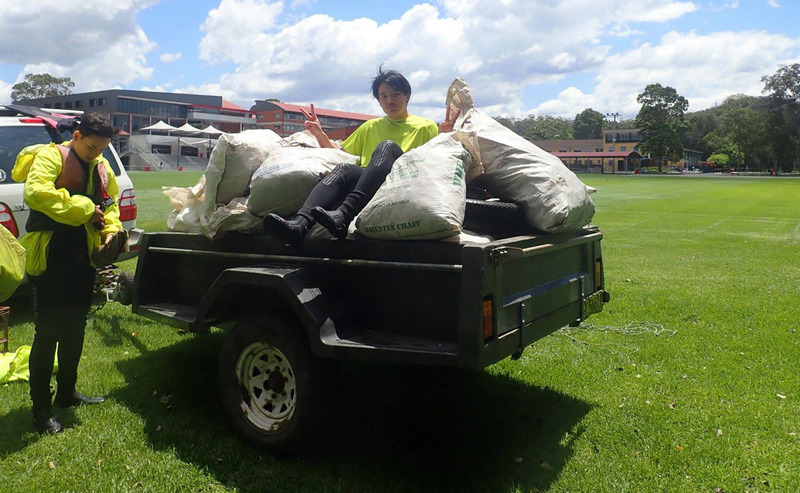 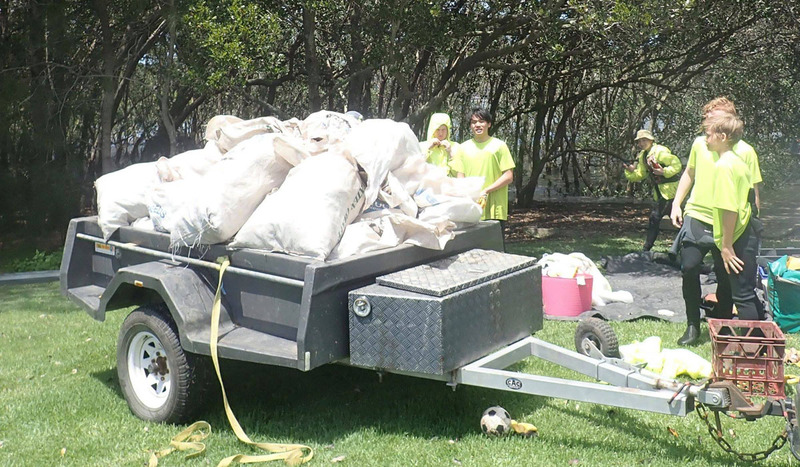 Thirty very full bags, plus the steel, was loaded onto the Clean4shore trailer and delivered to the tip. 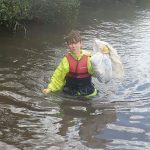 Statistics on the sampled bags revealed a total of 650 plastic bottles, 1180 pieces of plastic, 530 pieces of polystyrene and 740 pieces of food wrapping. 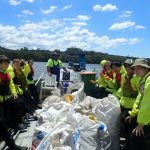 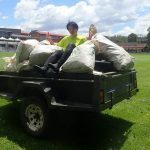 Well done boys and thank you to Jono from Clean4Shore.